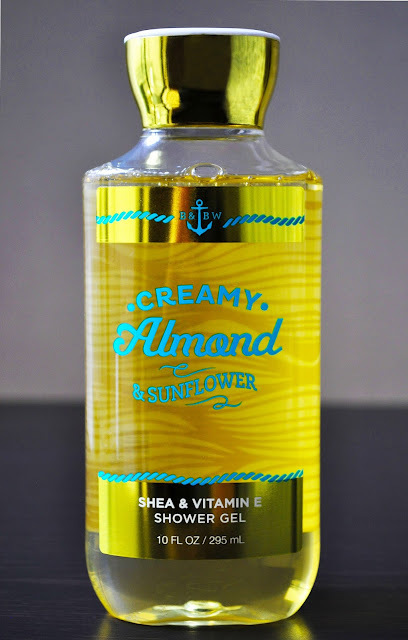 For March's body wash, I chose Bath & Body Works' Creamy Almond & Sunflowers Shower Gel. In the midst of the first use, I knew I wouldn't be able to bear the scent for an entire month. L'Occitane's Almond Shower Oil and Dr. Bronner's Almond Pure-Castile Liquid Soap are two of my favorite almond scented body washes. So, I had high hopes for Creamy Almond & Sunflowers, but the fragrance was so noxious, it gave me an instant migraine. The scent was so off-putting, I broke from my lather to check the key notes. With the blend of Almond Milk, Sunflower Petals, Orange Blossom, and Vanilla Musk, they should have created a lovely bouquet, but not so. Creamy Almond & Sunflowers smells of Palmolive and "old lady perfume" that's turned bad. 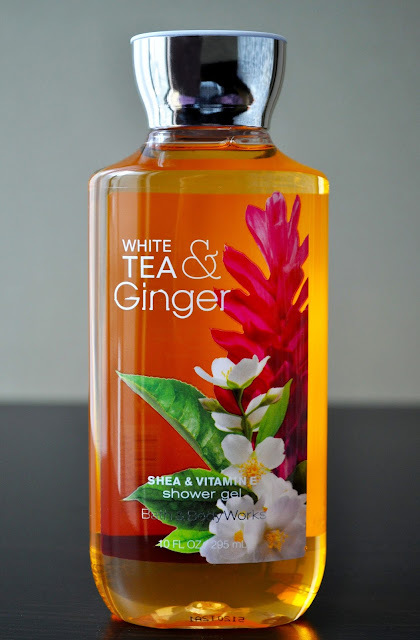 To recover from my gagging reaction to this putrid shower gel, I replaced it with an old favorite, White Tea & Ginger, reviewed here. If Aki's sister or mother like Creamy Almond & Sunflowers, they're more than welcomed to it. If not, into the trash it goes!